Here at iQ 360, we’re not only celebrating the beginning of a new year, we’re also welcoming a new team member to our Honolulu office. Lynn Miyahira is iQ 360’s newest account director, running point on a variety of marketing and communication initiatives for clients in renewable energy, the auto industry, education and professional services. Lynn comes from the world of marketing. 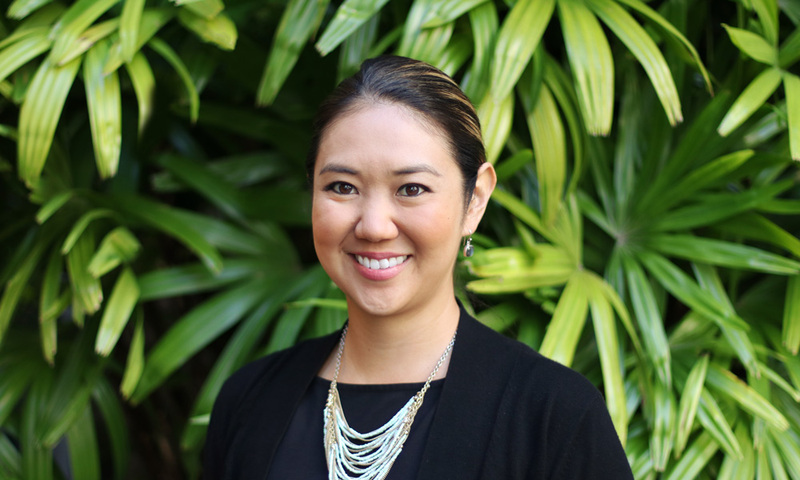 Previously, she worked at the University of Hawaii, Shidler College of Business, where she served as marketing director focusing on student recruitment, development and alumni relations. Lynn is fluent in Japanese. She studied abroad at Tokyo International University in Saitama, Japan, while completing her bachelor’s degree at Willamette University. She earned her MBA at UH Shidler College of Business, where she continued to hone her Japanese language skills to perform in a formal business setting. Much of Lynn’s spare time is dedicated to serving as president-elect of the Hawaii United Okinawa Association and on the steering committee of the U.S.-Japan Council. Lynn spent five years living in Okinawa, where she worked as an advisor for foreign language teachers, translated for special guests from foreign delegations and representatives from Hawaii, and planned large-scale events and conferences. A travel enthusiast and foodie, Lynn enjoys when her two passions intersect — though on her rare weekends off, she can often be found catching up on TV shows and spending time with family and friends.